Larb Hoy (Shellfish Salad) for lunch in Vientiane, Laos. My Aunt Kian brought back a few kilos of shellfish from Pakse to make stew and salad. I have never eaten this type of salad before until this year. 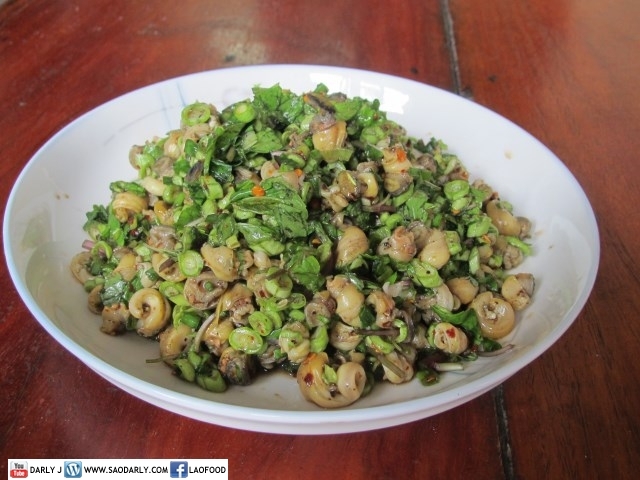 It’s a good alternative to fish or chicken and I like to use whelk from France for Larb Hoy.